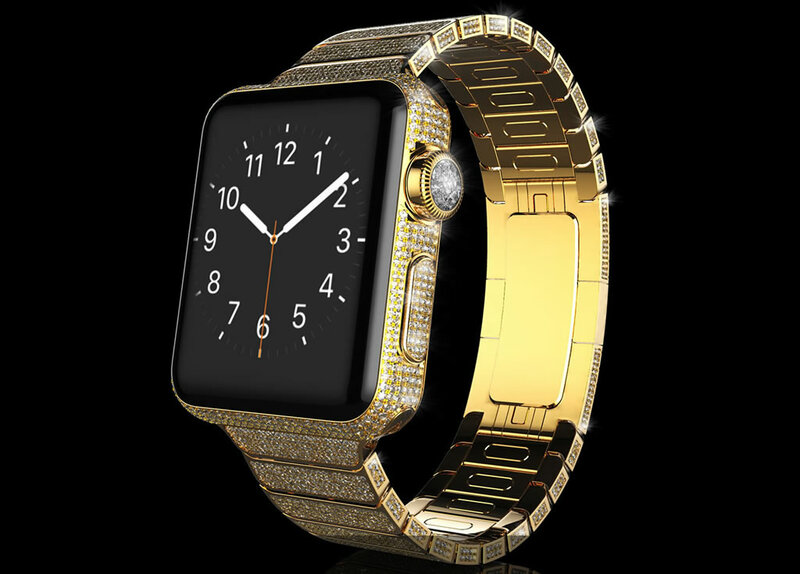 Tim Cook’s Cupertino crew again delivered diamond studded, solid gold third fiscal quarter Apple results, though the haters are sure to carp the Apple Watch only contributed an estimated $1 billion. The company’s iPhone and Mac product lines continue to deliver stellar unit and revenue growth, driving profit to new heights. Though still down both sequentially and year-over-year, iPad unit volume came in better than expected. Add it all up and do the gazzintas and Q3 2015 Apple results delivered a net profit of $10.7 billion or $1.85 per diluted share on revenues $49.6 billion. Or put another way, revenue shot 33 percent year-over-year with earnings per share up 45 percent. “Apple Watch accounted for well over 100 percent of the category,” said Apple CFO Luca Maestri, adding that watch revenue more than made up for a decline in iPod sales. 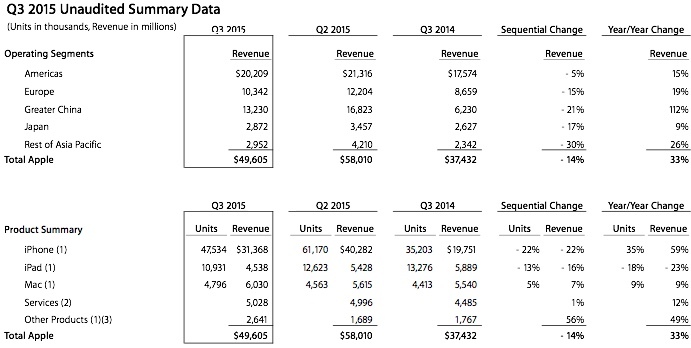 Apple did not, however, break out Apple Watch unit volume or revenue numbers. It has been variously estimated to have contributed about $1.4 billion, though Tim Cook pooh-poohed that analysis, investors and punters could so easily compute Apple Watch revenue. So, how much cash does Apple have on hand now? The company sequentially added $9.3 billion to increase its cash hoard to $202.8 billion, the vast majority of which is held “overseas.” The kicker being cash increased by the better part of $10 billion even though the company returned $13 billion to investors through share buybacks and dividends. 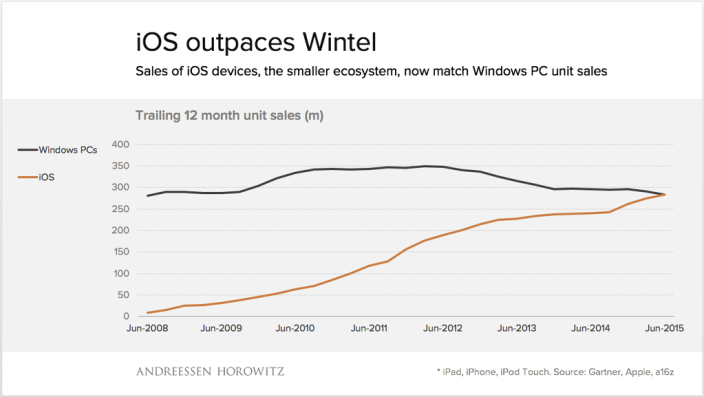 Andreeson Horowitz analyst Ben Evans tweeted that iOS device sales have surpassed total Wintel device sales — a huge milestone as Microsoft continues to fade in Apple’s rearview mirror. Still not impressed? Mac unit volume was up 9 percent while the overall PC industry, according to Gartner estimates, shrank by 9.5 percent. Want more? Apple’s iPhone growth of 35 percent crushed the smartphone industry average of 1.9 percent — boom! Can you blame him? Are you optimistic about Apple’s future?